Austin Junior Forum is pleased to offer Etiquette Classes for children and youth in central Texas. We are excited to present a new class format that offers more individualized attention and additional topics. Our etiquette instructor is Ms. Shalyn Bridges, certified by the American School of Protocol. Click here to register your students! Clicking here will open a new window on The Caswell House's website. The Caswell House Etiquette Class is a six-week program for school aged students (ages 6-13), beginning June 23rd/24th and ending July 28th/29th. We suggest younger students enroll in the earlier session and older students enroll in the later session, but please feel free to choose the session that is most convenient for you and your children. Enrollment is limited to 12 students per class and is open to both girls and boys. All classes will be held at The Caswell House, 1404 West Avenue at 15th Street. Attendance is required at all lessons for a student to receive a certificate of completion at the final lesson. Students should dress casually for Lessons 1-4 & 6. For Lesson 5, students should wear dressy attire: girls should wear dresses, and boys should wear coat and tie. Some food will be provided at most lessons. If your student has any allergies or dietary restrictions, please let us know at the time of enrollment. If you have questions about this program, please contact us. There is a registration fee for attending the class. Proceeds benefit the preservation projects of the Caswell House, which is a city, state, and national historic landmark. 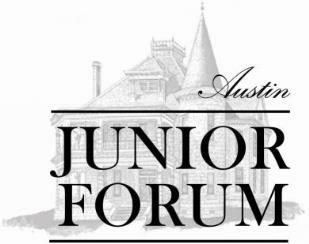 The Caswell House Etiquette Class is staffed by Austin Junior Forum volunteers, and all instructors are donating their time and expertise.